We start with making the pasta. Be sure that everything is clean, that you have enough normal flour and that people with hosophobia are away, ‘cause it will be a little mess. I’m sorry. Take the Semoulina flour and put it on a clean table. Make a little hill with in the middle a little hole. That looks like a volcano, no? In the middle you put your eggs, your Tblsp of oilive oil and water and the salt. Be aware that your salt, doesn’t touch the yolks, otherwise the yolks get burned. 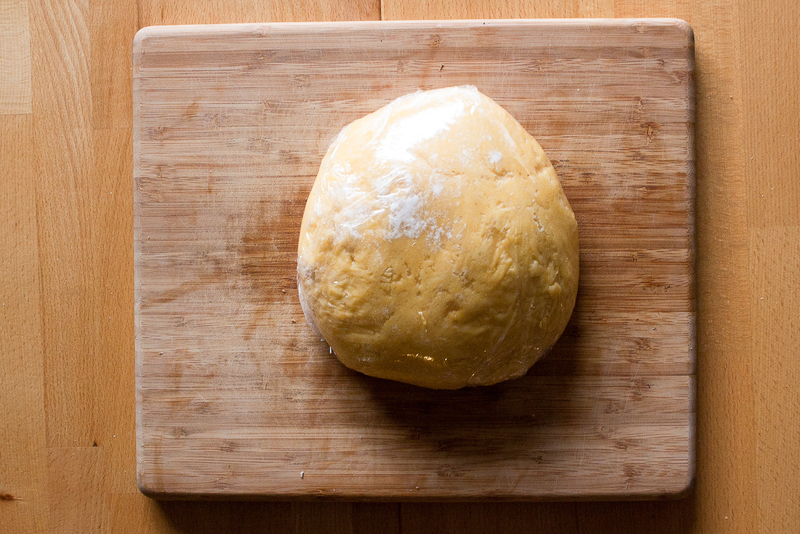 Start mixing and kneading till your pasta is homogeneous and your table and your hands are a mess. Let the pasta rest for at least 30 minutes. 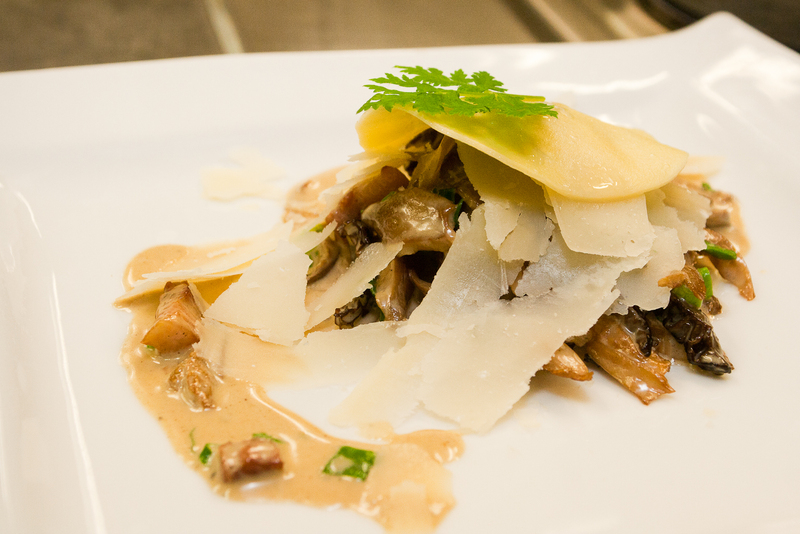 While the pasta is taking a little nap, start making your mushroom sauce. Fry your chopped bacon. Soak the morels till they are swelled up. 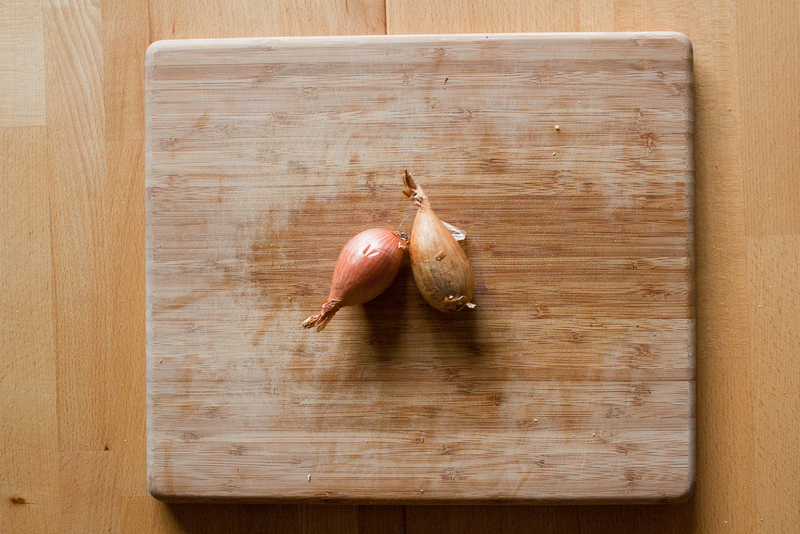 Keep the juice aside, because you will need it to finish your sauce. 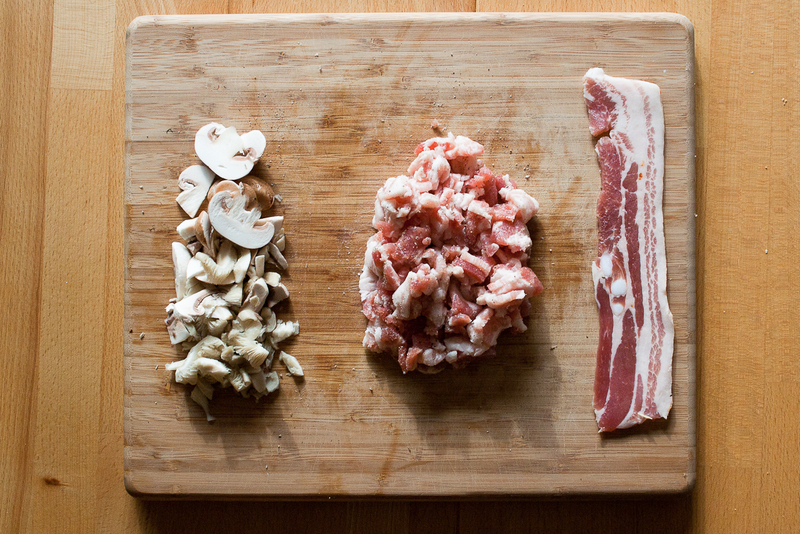 Fry the oyster mushrooms and the chopped shallot in a mix of butter and oil, add the morels and the baked bacon. 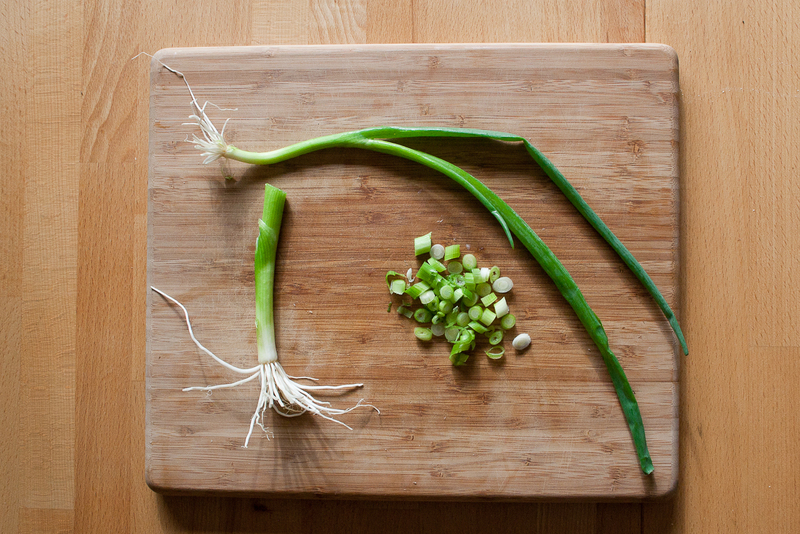 Finish with cream and the chopped spring onions. Wake your pasta up. Pull the pasta a couple times through the pasta machine till it is very thin. Cut out little circles of pasta and put them in hot (less than 100°C) and salty water. Take a plate. Add the sauce between two circles of pasta and decorate with some walnuts, basil and rasped Parmigiano cheese. Enjoy! PS: I made it in the cooking course with morels, but at home I used “Paris Mushrooms” because the morels were a bit too expensive. But I have to admit, that the morels give more taste.